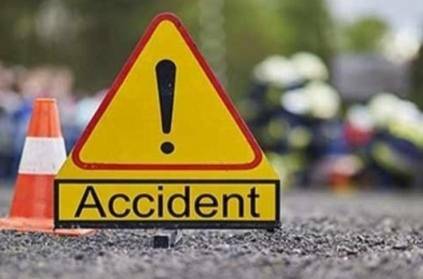 According to reports, a car slammed into a bike in Tamil Nadu's Thiruvallur on Wednesday night. Shockingly, the body of the bike rider was found 400 km away in Andhra Pradesh. Sudhakar was returning home from work on Wednesday night. As he was nearing his house, a speeding car hit him. Reportedly, Sudhakar's leg was severed. Due to the impact, the biker's body was thrown off from the bike into a nearby cargo truck. The driver of the cargo truck was unaware of the incident and continued on to his destination - Andhra Pradesh. Back in Thiruvallur, the police discovered Sudhakar's severed leg and his bike. However, they could not locate the body. On Thursday, the Andhra police called up Tamil Nadu police regarding the discovery of a man's body with one leg missing. The truck driver had discovered the body after reaching his godown and immediately alerted the police. Reportedly, the police have detained the car driver and are questioning him. 'விபத்தில் படுகாயமடைந்த முன்னாள் இந்திய கிரிக்கெட் வீரர்'...நலம் பெற இறைவனை வேண்டுகிறேன்...யூசுப் பதான் ட்விட்! நம்ப முடியுதா? சைக்கிள் மோதி டேமேஜ் ஆன கார்.. ஒண்ணுமே ஆகாத சைக்கிள்.. வைரல் வீடியோ! தண்ணீர் லாரிக்கு இரையான சிறுமி..கையில் சாக்லேட் கவர்.. கலங்கிய நெஞ்சங்கள்! சாலையில் போலீசாரின் வாகன சோதனையில் இருந்து தப்பி ஓட முயற்சித்தவருக்கு நடந்த விபரீதம்! ‘புடி..புடி அவன’.. மேலதிகாரியின் பேச்சைக் கேட்டு உயிரை பணையம் வைக்கும் டிராஃபிக் காவலருக்கு நடந்த விபரீதம்! கால்வாயில் மூழ்கிய பேருந்து, குழந்தைகள் உட்பட 20-க்கும் மேற்பட்டோர் பரிதாப பலி! This page contains news relating to various facts and events. The views are generally about current affiars and general topics in diversified areas such as political, international, national, and regional issues, sports, health, travel, lifestyle, technology and business. People having similar interets on the above topics will find this page useful. Car hits bike in Chennai- Rider's body found 400 km away in Andhra Pra | Tamil Nadu News.